Happy New Year! 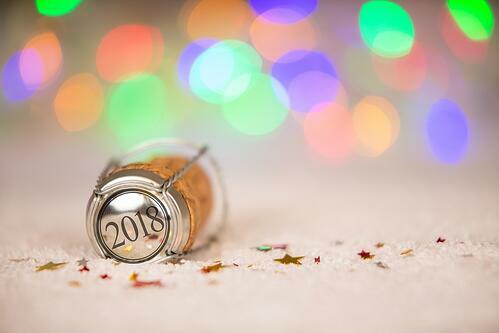 Whether you rung in 2018 with a champagne toast, good laughs with friends or your favorite flick, we hope you had a great end of 2017. Before we knew it, we were back to the grind and sprinting towards our 2018 goals. And what are those, you might be asking? Group HR Director, Robert Hicks - I want to focus on our tech tools - as I think we can create some efficiencies by improving how we synchronise our systems - the changes in HR tech (including ones that are coming to our own product suite!) are really exciting and I think we can improve the lives of our employee by looking at this. Human Resources Manager, Mariana Topalova - I want to focus on providing people- focused HR service, working individually with people to help understand their goals and aspirations and help them develop. Also try to decrease manual work for HR administration and automatize more processes. Head of Learning & People Experience, Didi Kirova - In 2018 I aim to deliver an amazing global learning programme that supports our world class employee engagement specialists to be the best they can be at work and provide the best tools to support our programme. The tools should offer variety and flexibility, and plenty of resources for our managers and employees to use for their learning and career development. Vaska Sivkova, Recruitment Assistant - I aim to be a great user of our recruitment software because it can help us streamline our processes by keeping track of applications, sending out emails, scheduling interviews, and centralizing information. My goal is to drive down the time we’re spending on administration so that the team can reallocate it to more proactive hiring strategies. Internal Communications Manager, Catrin Lewis – I want to increase our employee engagement score to help accelerate our progress through Reward Gateway's future, and another tale to tell like from Season 2. It’s already good, but I want to improve trust and insight into how the RG story will unfold in our future as it’s key to our success. I will be listening through multiple channels to both our employees' feedback and LT plans and aligning the two. I will ensure that employees understand the mission, values and purpose and that we enable the core behaviours that lead to success by creating an environment where RGers can live our values. Watch this space. Senior Recruiter BG/MK, Galina Angelova - I want to ensure the sustainable development of the teams in the locales that are entrusted to me by providing a sufficient number of suitable candidates for each open position. I would also like to contribute in any possible way to raise the efficiency and results of our teams. Gemma Matthews, Senior Internal Recruiter UK - I aim to deliver an amazing recruitment video to help us build upon our employer brand enabling us to attract the best talent and become an employer of choice. I also want to attract top sales talent to join our UK sales team, the growth plans expected means we need to hire superstars to win new clients to join the mission of making the world a better place to work. Tell us, what's your 2018 HR Resolution? We're always here to help you figure out new ways to attract, engage and retain your people. Get in touch below, and happy 2018!